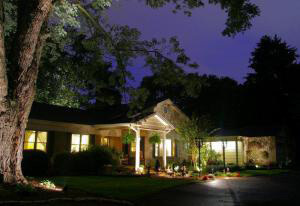 The “Bed and Breakfast Capital of NC,” this Smoky Mountain town is home to many great Waynesville Bed and Breakfast Inns. Finding yourself in picturesque Waynesville feels like waking up within a Norman Rockwell painting. And waking up to breakfast at a Waynesville Bed and Breakfast Inn is the dream of many guests who return year after year. The historic town of Waynesville NC is home to numerous galleries, shops, and restaurants that join Waynesville’s Bed and Breakfast Inns in welcoming visitors to events all year. Waynesville NC has been called the Gateway to the Smokies. This Blue Ridge Mountains area is rich with natural parks, hiking & biking trails, creeks, lakes and waterfalls, golf courses, and many well noted area attractions. The nearest entrance to the Blue Ridge Parkway is just 8 minutes from town. Cold Mountain is within 15 minutes from downtown. Waynesville, just 25 miles southwest of Asheville NC, was founded in 1810 by Colonel Robert Love. Colonel Love granted the town its original acreage; Love Lane in the historic Love Lane neighborhood which stands watch over the town still bears his name. Location of the last shot fired in the Civil War, Waynesville is steeped in history and tradition. 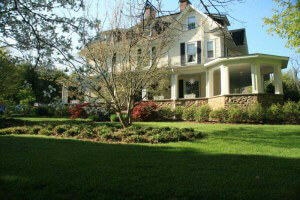 This historic home sits on a secluded hill that overlooks beautiful downtown. Four themed bedrooms decorated with antiques. Chose a room once occupied by Roy Rogers or Gene Autry. One of Waynesville's newest Bed & Breakfasts located within a short 10 min walk to Main Street shops & dining. 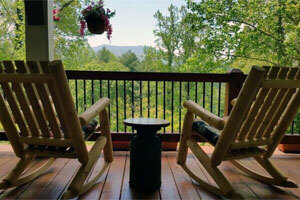 Enjoy your three-course country gourmet breakfast on the large deck while taking in the Balsam Mountain view. Award winning 1902 historic property. Seven elegant, comfortable rooms with fireplaces, individual heating & a/c, en-suite bathrooms, many with spa tubs. Relax on the wrap around porch with lovely mountain views. Large game room. Made from scratch delicious breakfast, afternoon baked treats, complimentary coffee, tea & soft drinks. 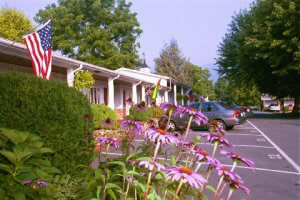 Walking distance to wonderful Downtown Waynesville. Nestled in 130 acre cove overlooking the Smoky Mountains. 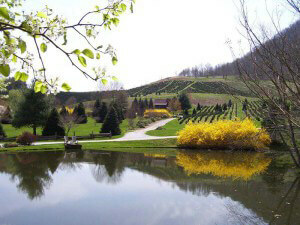 Stocked fishing ponds, Choose N Cut Fraser Fir Christmas tree farm. Secluded peaceful country setting in charming 1-4 bedroom log cabins with wood burning fireplaces, full kitchens, Wi-Fi. Hiking, fishing. Open every season. 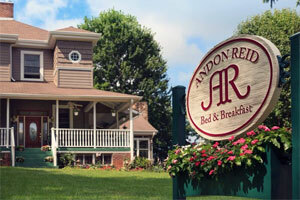 Our unique single-story, ranch-style bed and breakfast has all the amenities of a luxury accommodation with a blend of elegance and rustic charm. Enjoy a three-course, gourmet breakfast while taking in views of the Smoky Mountains from our back patio. “The service and amenities of a fine hotel in the quiet comfort of B & B.” Five finely appointed rooms featuring en-suite baths, fireplaces, 600 thread count sheets, daily maid and nightly turn-down service. Walking distance to historic downtown Waynesville. Oak Park Inn offers an opportunity to step back in time, where old-fashioned friendly service is our way of welcoming you to our mountain town. Located in beautiful downtown Waynesville, North Carolina, we are sure you will enjoy our convenient location to the shops, boutiques, restaurants, grills, pubs, library and churches, all within walking distance. Come relax on our beautiful wraparound porch, enjoy a dreamy night’s sleep on one of our comfy pillow top mattresses, and soak your cares away in one of our whirlpool tubs. Pamper yourself with casual elegance at reasonable prices. 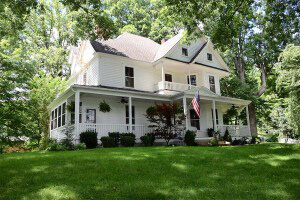 Located on a hilltop overlooking the picturesque Blue Ridge Mountains, this Waynesville, NC bed and breakfast has been an integral part of the town’s landscape for 120 years. 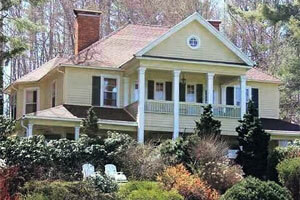 Built as a summer residence in the late 1800s, its charm was shared with just a privileged few. Today, The Yellow House Bed & Breakfast welcomes many to experience the beauty and splendor of this wonderful home in one of our comfortable rooms or suites, perfect for your romantic North Carolina getaway.